Welcome to my Boeing 737-800 simulator website! For almost the past 20 years I have been converting my real Boeing 737-100 flight deck into a Boeing 737-800 flight simulator. This is an actual Boeing 737-100 cockpit. I rescued the flight deck out of an aircraft graveyard in Ardmore Oklahoma in 1997. Since I was a teenager I dreamed of making my own simulator therefore finding the flightdeck was a dream come true! Flight simulation is a blast! First of all, if you are fan of the Boeing 737, this website is for you! I am a huge fan of the Boeing 737 which is by far one of the most successful airplanes Boeing has ever built. Second, if you have an interest in flight simulation or flight simulators this website is for you. This is definitely one of the biggest hobbies I have undertaken it is definitely a labor of love! 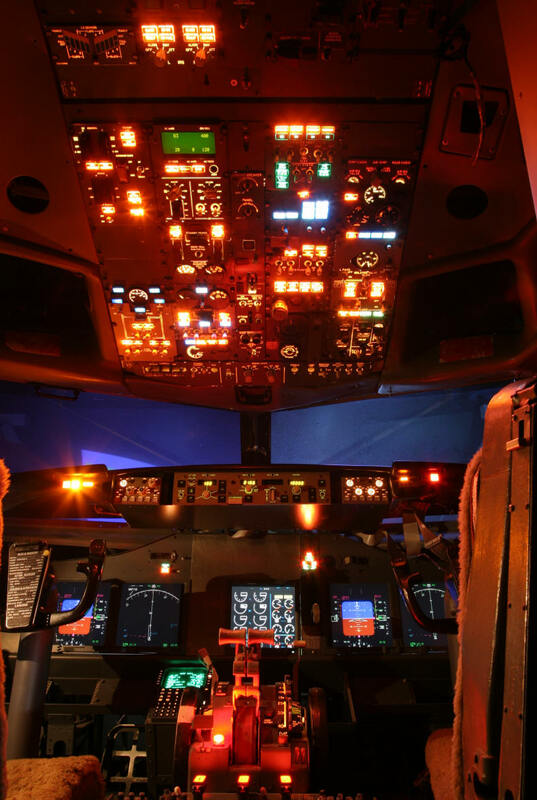 The simulator has been featured in places like The New York Times and The Smithsonian Air and Space Museum Magazine. I have made some great friends along the way that have been a big part of the project. This website chronicles that journey. The site is organized into several different sections talking about the history of the aircraft along with the technical details. The simulator was built before the advent of USB, so there was a lot that we had to build from scratch, as plug and play was not even invented. A lot of time and effort has been put into making the flight simulator extremely realistic. Areas such as control loading, visual system, sound system and aircraft simulation we will touch on. Flight simulation is sort of one of those elusive things where you try your best to make the flight simulator behave as closely as possible to the real aircraft, in this case a Boeing 737-800. It’s always a challenge, but always a fun trying to make the flight simulator as realistic as possible!